I mentioned on Friday’s post that I often use baking as a way to relax. Well in comes Saturday… After taking my three-hour online exam, I was ready to drink my sorrows away because, I’ll admit, I didn’t use my own study tips and the exam didn’t go that smoothly. Well luckily my roommates had asked me to bake them cookies, so my liver survived to see another weekend. Hashtag College! These cookies are very loosely Halloween cookies. The only thing that qualifies them as Halloween is that I used orange and black chips. But we’re getting festive so we’re calling them Halloween and that’s that. This will make roughly two dozen medium-sized cookies. Add the egg into the mixture until it is completely combined. Stir in the flour and your cookie dough will actually look like cookie dough. Add your chocolate and peanut butter chips. Pop it into the oven! The recipe I used said to bake for 7-9 minutes, but for some reason mine took closer to 15 minutes. I would suggest you start at 7-9, then increase the time in 2 minute increments. The cookies were a hit! 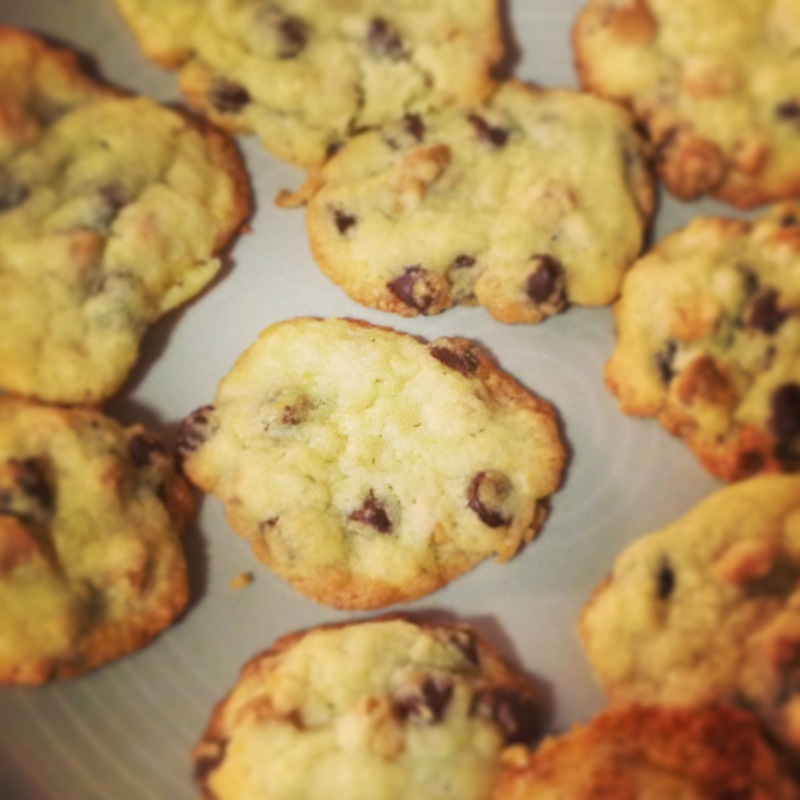 Especially to my diet… If you’re looking for a healthy cookie recipe, you’ve come to the wrong place. These were fun to make and definitely brightened the spirits of everyone in my apartment. It’s funny how the little things can really brighten your day. If you bake often, this recipe is budget friendly. I used King Arthur flour which costs roughly $5 for a one pound bag. This is a little pricey, but I like the taste a lot better than store brand flour. For sugar, I used just the store brand and that’s about $2 or $3 for a one pound bag. The Hershey’s semi-sweet chocolate chips and Reese’s peanut butter chips were two for $5, like I said before, and I can use them for about three more batches. Worth it. The butter was Blue Bonnet and it cost me $4 for four sticks. Finally, I borrowed an egg from my roommate’s girlfriend. But she bought the six pack of store brand brown eggs, which is usually about $1.75. You don’t necessarily need to use the brands I mentioned. This recipe really works with anything, whether it’s vegan or substitutes or gluten-free. You can use whatever’s on sale or what you can find a coupon for to save you more money. Try it for yourself and let me know! Very nice job with this ”8 keywords” post. It doesn’t surprise me that the post received several likes. My own sense is that one thing readers are responding to is the effective way you represent what matters to your community. I see, too, that LatinaTvMom included you as a ‘related article’ on one of her posts. Well done!